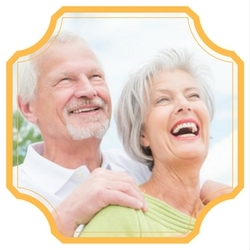 As you age into your senior years, proper oral care becomes more important than ever. Practicing proper oral health and taking proper care of any dental devices, such as dentures or implants, and looking into dental insurance suited to you is crucial. Oral health is important during any stage of life, but more so during your senior years when proper oral care is crucial to your overall health. There are ways to keep up with your oral health during your senior stage of life that are both simple and easy to incorporate into a daily routine. You can typically get dental care help from your in home caregiver as well if you have such assistance. 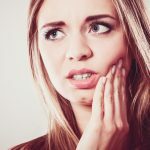 If you find yourself in a dental emergency and needing a root canal, please utilize our services instead of searching “root canal doctor near me“. We can find you an endodontist much quicker an more effectively than Google. Root canals are time-sensitive conditions, so the sooner you can find a dentist the better. Brushing twice per day and flossing at least once, if able, is recommended. Mouthwash is also a good idea but only if you, or the loved one in your care, are able to do it without swallowing. Depending on whether a senior has any dental devices, such as dentures or dental implants, for example, extra care must be taken in order to sustain them. 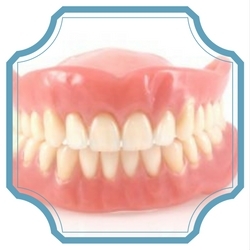 Removable full or partial dentures, no matter where you go, are never cheap. 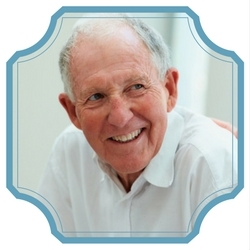 Senior citizens must take proper care of their dentures to ensure they work as they should. Cleaning them is not as simple as soaking them in a solution and popping them back into your mouth the next day. Remove your dentures and thoroughly rinse them if you have eaten with them in to remove food debris. You should also be cleaning your mouth using a soft-bristled toothbrush while brushing your dentures at least twice each day. Soaking and brushing them with a nonabrasive denture cleanser is needed. If you use an adhesive you will also need to thoroughly clean the areas that are fitted to your gums. Soak your dentures in a solution overnight while you sleep. Your dentures must remain moist in order to keep their shape and strength, so speak to your dentist about which solution is the best one to get. Always rinse your dentures well before you put them back into your mouth after they have been soaking. 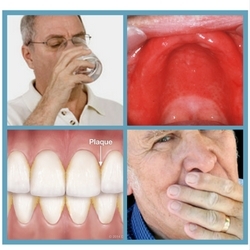 Any type of denture cleanser or solution should never directly enter your mouth. – Abrasive materials for cleaning them, such as a stiff-bristled toothbrush, harsh toothpaste, and/or a strong cleanser. – Hot or boiling water, which will warp your dentures on direct contact. – Whitening toothpaste, which is considered an abrasive cleanser. – Any sort of bleaching product as it weakens your dentures and changes the color through corrosion of the metal, for example. Speak to your dentist if you find that your dentures are uncomfortable or have a loose fit. 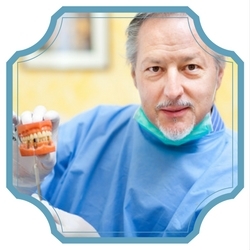 It’s not uncommon for dentures that were once a comfortable, perfect fit to change in shape and become uncomfortable. Though dental implants are not real human teeth they must be treated like they are, especially considering how expensive new ones will be if you don’t properly care for them. Your dentist may recommend a specific care routine to your individual implants, but there are general hygiene requirements that oral implants require, particular immediately after the tooth extraction. You must brush them at least twice per day using a low-abrasive dentifrice. Flossing with dental tape using a shoe shining motion or a water flosser at least once per day is highly recommended, as well. If your dentist has put out the recommendation, use an interdental brush, a water irrigation unit, a soft pick, or a rubber tip at least once per day. The main question you should be asking your dentist, or the dentist of your loved one, is what else can be done to help in preserving proper oral health. If you notice any changes with your oral health whatsoever, such as your teeth feeling loose or any pain no matter how minor, make an appointment as soon as you can. You should feel comfortable asking your dentist anything that you feel may be wrong, as well as letting them know which medications you are currently taking. For example, a lot of medications prescribed to senior citizens can cause dry mouth as a side effect, which can be very destructive to a person’s oral health. Hypertensive medications for high blood pressure, muscle relaxants, certain medications for Parkinson’s disease, various antidepressants, urinary continence drugs, and many other over-the-counter and prescription medications are known to cause dry mouth in one in three senior citizens. Check to see if your medication, or a medication your loved one is taking, ranks on the list of all the medications known to cause dry mouth. You should also ask about the best dental tools for you or your loved one to use. For example, which brush is best to use for dentures, implants, or your permanent teeth. You could also bring in and show your dentist what dental tools you are currently using for recommendations, as well. Asking your dentist about dental insurance is something you should do, as well. Dentists have experience with dental insurance from other patients or are in DHMO, which will be covered further down, and may be able to guide you to the right coverage for you. It’s particularly important to speak to your dentist about payment plans if you don’t have dental insurance. Your dentist knows your oral health and what work needs to be done firsthand, so finding out the right information will make looking at coverage and plans much easier for you. If need be, ask your dentist to write everything down for you to review at a later time. Medicare is one of the more well-known insurance coverage providers, but there are a lot of questions that may be unclear. As a senior citizen, it’s important to know what your options are. 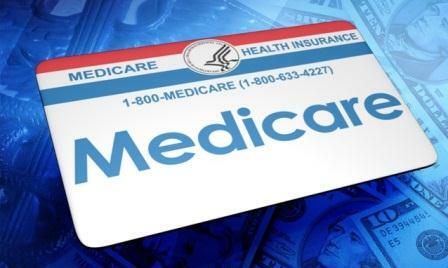 Medicare is the health insurance program from the federal government designed and offered for those 65-years-old and up. Although, it does have coverage for those of a younger age with disabilities and those who with permanent kidney failure who require a transplant or dialysis, also known as End-Stage Renal Disease (ESRD). Medicare offers different Parts, running from Part A to Part D, for individuals to choose and be eligible from. The dental coverage that Medicare offers can be touch and go. For example, Medicare Part A is Hospital Insurance, but it does cover specific dental services that are sometimes needed. Unfortunately, Medicare does not have any sort of dental coverage unless you have coverage under Part A and require a complicated or emergency dental procedure. As previously stated, Medicare is for those at the age of 65 or older, younger people facing disabilities, and those who have End-Stage Renal Disease, all of whom are eligible for Medicare. For more information on eligibility for Medicare, you can click here. For those who need it, Medigap is added health insurance that can be purchased from a private company for the purpose of paying health care costs that are not covered under Medicare. For example, deductibles and co-payments are covered under Medigap. Although, Medigap does not cover vision care, such as eye testing, and eyeglasses, private-duty nursing, dental care, and long-term care, to name a few. There are many plans under Medigap, but the majority of them do not cover prescription drugs, as well. Those who already have coverage under Medicare can opt for a Medigap policy to help pay for hospital services under Part A and doctor services under Part B. Those under Medicare Advantage, which will be covered later on, cannot have a plan under Medigap, however. Medicare has two options available to you, the Original Medicare (Parts A, B, C and D), or Medicare Advantage Plan. Figuring out which type of Medicare is best for you will take some weighing of the pros and cons, looking at and comparing the costs for both, and look at all of the important information involved. A lot of senior citizens make the switch from the ACA Marketplace to Medicare once they become eligible. The Initial Enrollment Period begins officially 3 months before their 65th birthday and ends another 3 months after their 65th birthday. If you do choose to make the switch, it’s important to know that your Marketplace plan can be kept to ensure that you are still fully covered until your Medicare coverage begins. This allows you to end your coverage with Marketplace without facing a penalty. You can learn more about switching from the ACA Marketplace to Medicare by clicking here. Does the ACA Require Seniors to Have an Insurance Plan? No, the ACA does not require that seniors have an existing insurance plan to be eligible for one offered through the ACA Marketplace. In fact, many of the ACA Marketplace insurance policies include dental benefits. For example, stand-alone dental insurance policies from federal health are available through the Marketplace, but only once a medical insurance plan has been taken on. Federal subsidies are, unfortunately, not available for stand-alone dental plans. 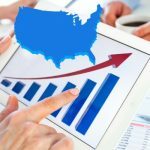 However, a handful of the marketplaces that are run by certain states allow citizens to purchase a stand-alone dental plan without purchasing a health insurance policy. Stand-alone dental plans for seniors, unfortunately, do not qualify for federal subsidies. 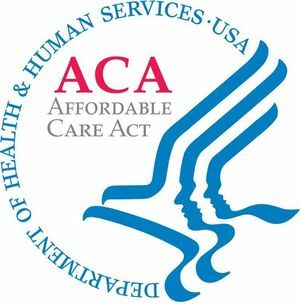 The ACA Marketplace offers some insurance plans for dental, but if they are purchased as a stand-alone policy then it becomes ineligible for federal subsidy tax credits. To learn more information on federal subsidies for stand-alone dental plans, your options, etc., you can click here. – Health plans that include coverage for dental within certain Marketplace health plans that has a premium for both dental and health coverage. – Stand-alone, separate dental plans offered in certain cases, with an additional premium that will be paid separately. High coverage: high premiums but lower deductibles and co-payments, so you will be paying more each month but also paying less when you are using a dental service. Low coverage: lower premiums but higher deductibles and co-payments, so you’re paying less each month but also paying more when you are using a dental service. You can receive additional information on your options from HealthCare.gov by clicking here. 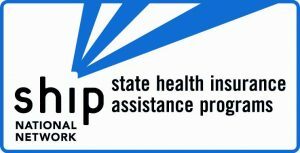 The State Health Insurance Assistance Program (SHIP) is a free counseling service for those receiving benefits, or have caregivers or family members also receiving the benefits, under Medicare. The program is funded through federal agencies and has no affiliation with the insurance industry. SHIP offers education and counseling to help citizens, including seniors, make informed decisions where their health care benefits are concerned. The help that is provided is completely free to all Medicare beneficiaries who are having issues or have questions regarding their health insurance. Click here for additional information as well as contact information for the SHIP program. Not all states offer the same coverage and benefits under Medicare, so you will need to shop around and see what your options are before you make a final decision or choose to settle with what you’re initially presented with. You can find more information on the states that offer Medicare by clicking here. Signing up for Medicare is very easy. If you are the caregiver of a loved one who is a senior citizen and eligible for Medicare, you will need to do this for them. Otherwise, you will need to have certain information ready. For example, your Social Security information. You can apply online through Social Security by clicking here, by visiting your Social Security’s local office, or by calling them at 1-800-772-1213 or TTY 1-800-325-0778. If you worked for a railroad, you will need to call the RBR at 1-877-772-5772. More information on applying for Medicare can by found by clicking here. Medicaid, like Medicare, is another federal option for dental insurance. Thankfully, it has many options available to you that are definitely more beneficial than Medicare. Medicaid is a federal-state, jointly funded health insurance program that covers people of all ages, those with low-income, and those who have eligibility for receiving federally assisted income maintenance payments. In short, Medicaid has coverage for children, senior citizens, the blind and disabled, and anyone else who falls under the eligibility requirements, which will be detailed later on. At this time of writing, thirty-two states plus the District of Columbia offer eligibility for Medicaid and the Supplemental Security Income (SSI) benefits. – Check-ups, treatment, exams, lab tests, etc., at your doctor’s. – Inpatient hospital services that include lab tests, administered drugs, and room and board, for example. – Outpatient hospital services, including those that you would normally receive while in the hospital but at home. – Emergency transportation services, such as an ambulance, for example. – Non-emergency transportation services for the purpose of going to medical appointments but do not have the money to pay for such, for example. – Emergency dental offices near you for seniors and adults. – Walkers, crutches, wheelchairs, and other medical supplies and equipment that have been prescribed by a doctor for home use. – Home health services, such as part-time nursing and home health aides, for example, that have been ordered by your doctor. Medicaid does not have coverage available for prescription drugs. However, if you are eligible for coverage under Medicaid, you may be able to have coverage that pays for Medicare’s Part D premium to gain a prescription drug plan if applicable. 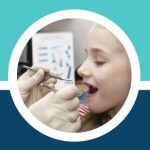 One particularly sensitive topic when it comes to medicaid coverage is whether it covers the extraction of wisdom teeth as this can be quite expensive and is somewhere in between dental care and surgery, consult a medicaid specialist on this. Private duty nursing, cosmetic surgery, chiropractic surgery, experimental items, and disposables, such as bandages or adult diapers, are also not covered under Medicaid. Eligibility for Medicaid sits on a number of qualifications. For example, the size of your family and your current income level. Eligibility also depends highly on the expansion of Medicaid in your state, which you can check by clicking here. You can also use a Medicaid chart to see where your eligibility stands or fill out the Health Insurance Marketplace’s application to see what you and your family qualifies for in terms of programs and coverage. The SHIP program is also offered for those receiving and under Medicaid coverage and benefits, as well. All of the information, rules, and help offered through SHIP for Medicare are also applicable for Medicaid, which can be viewed by clicking here. Because certain states offer unique coverage when compared to each state as a whole, it’s very important to know what is offered in your state where Medicaid is concerned. You can use this map of the nation to see which states offer Medicaid and/or have expansions in place. Through the Health Insurance Marketplace: filling out an application to receive information on your state agency, who will contact you further about enrollment, and qualification for an individual insurance plan. Through your state Medicaid agency: you can apply directly through your state Medicaid agency by selecting your state agency’s contact information. For more information on applying and to apply for Medicaid you can click here. Where dental care insurance plans for seniors are concerned, most would assume that there are very few options out there aside from Medicare and Medicaid. Thankfully, those who don’t qualify or have eligibility for one or both still have some options available. Dental Indemnity Plans, also known as “fee-for-service” plans allow you to take control of your health care and visit any hospital or doctor you like. A portion of the costs of health care services are paid through the insurance provider. A Dental Health Maintenance Organization (DHMO) is a dental plan that is structured through a certain group of dentists who provide affordable and broad care for a low premium each month. In fact, the majority of the work done through this type of dental plan is either for a reduced price or no cost at all. You are able to choose your primary dentist, as well. A Dental Preferred Provider Organization (PPO) offer a featured network and a balance between dentist choice and lower costs to have work done. There are specific dentists who voluntarily participate in a PPO. You pay a set percentage, which varies by the type of coverage and work needed, of the coinsurance, a reduced rate, and your plan pays the remaining balance. The Programs of All-Inclusive Care for the Elderly (PACE) helps to cover the medical needs and certain personal care requirements for senior citizens. It’s open to beneficiaries of both Medicare and Medicaid to provide social and medical services in inpatient facilities, at home, and at adult day health centers. The Dental Insurance Store gives seniors on Medicare the option to opt for dental insurance. They offer both standard and exclusively designed dental insurance with low monthly premiums. Dental insurance, as you now know, does not always have to be through federal coverage and policies. In fact, a lot of these insurance plans were designed specifically for the senior age group. Others within the list were included because they either offer a packaged coverage, such as vision and dental, for example, or have basic dental coverage for those who do not need extensive procedures. These plans were chosen because they are among the best options for dental insurance coverage that is not directly through Medicare or Medicaid out there. Selecting the right dental coverage for your needs can be stressful and overwhelming. There are so many providers, requirements, and plans to choose from, which can be especially difficult if it’s your first time opting for dental coverage. To start, think about the type of procedures you will need to have covered. If you only need regular cleanings and basic check-ups with no extensive work done, you’re in luck. However, if you need coverage for more extensive root canals, dentures, and crowns, for example, you will have to look into coverage more carefully. The premium and deductible are also things you should be looking at, as well. You need to look at your budget and figure out what you can afford. You should also look at discount and no cost benefits, as well. Are you going to need a discount on procedures? If so, look for coverage that offers discounts on the procedures you need or may need in the future. You should also be thinking about how soon you will need an appointment. 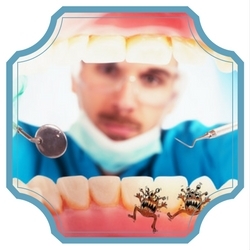 Do you have a pre-existing dental problem that requires work to be done immediately? If so, this can be a problem. The waiting period for your plan to activate or for certain procedures is something you will need to look into if you’re having a dental problem that needs attention as soon as possible. Lastly, look for any participating dentists in your local area. Some discount plans or general coverage plans will have a large network nationwide, while others have a more localized network. Make sure you look into this before you choose dental coverage as some plans will only have specific dentists for you to go to and be covered. 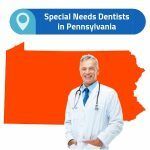 There is also a listing of free, discount, or low-cost dental care which has options for each state, which you can go through to find help by clicking here. Seeing a dentist that has extensive experience working with seniors and also offers a discount in your area, or relatively close by, is your best bet to save on procedures. A lot of the practices and dentists listed above have specific payment plans for seniors with low income, discounts, added benefits, and even specialized services that are only for seniors. Keep in mind these are not the only practices and dentists who offer help for senior citizens. 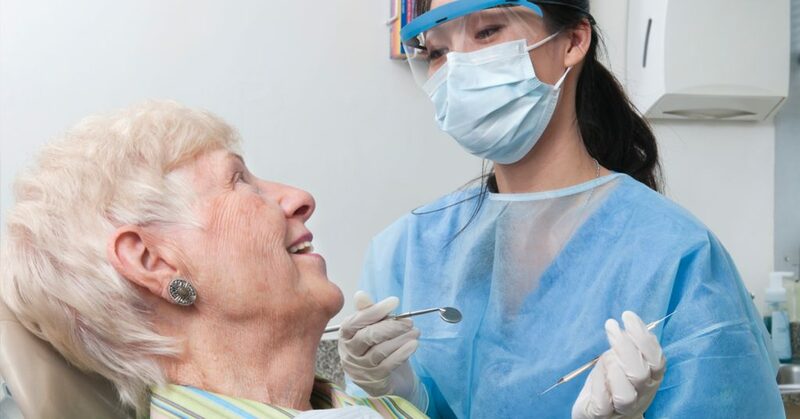 Like the insurance providers previously listed, these practices and dentists were among the best options where senior citizens receiving proper dental care is concerned. You could do some research into the dentists in your local or surrounding area to inquire about whether or no they have help for seniors. There are practices that offer discounts for those at a senior age plus added benefits if they have no dental insurance, which include some of the practices listed above. Start by calling the closest practices to you and ask about discounts and other help. You can also do a Google search to check the websites of dentists and their practice if you are unable to call. Taking care of your oral health during your senior years is crucial to the quality of your life. The condition of your oral health reflects the rest of your health, so finding options that are suited to you or even a discount that will make a big difference at the dentist is very important. Dental care won’t wait, sometimes you need help with a weekend dentist or appointments in the evenings. If this is the case you can use our services to find a local dentist near you. The main Medicare website is the best place for getting information, figuring out if you’re eligible, looking at your options, and applying all in one place. It makes finding the right information as easy as possible. This page offers a search directory for Medicare by state so you can see what your options are for coverage, benefits, premiums, etc. based on where you are living. 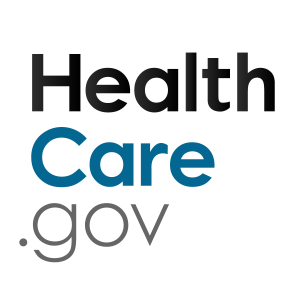 https://www.hhs.gov/answers/medicare-and-medicaid/who-is-eligible-for-medicaid/index.htmlThis page gives all of the information a person will need to figure out whether or not they are eligible for Medicaid, what they qualify for, etc. This page gives you the information you’ll need to apply, your options for applying, and allows you to gain contact information to help in the application process. This map that shows the current status of Medicaid expansion decisions in each state shows not only where expansions are happening, but which states offer Medicaid in general. This is a great resource because it helps people figure out whether Medicaid is offered in their state without having to research extensively and drown in information about it. This listing has each state and free, discount, or low-cost dental services for seniors.